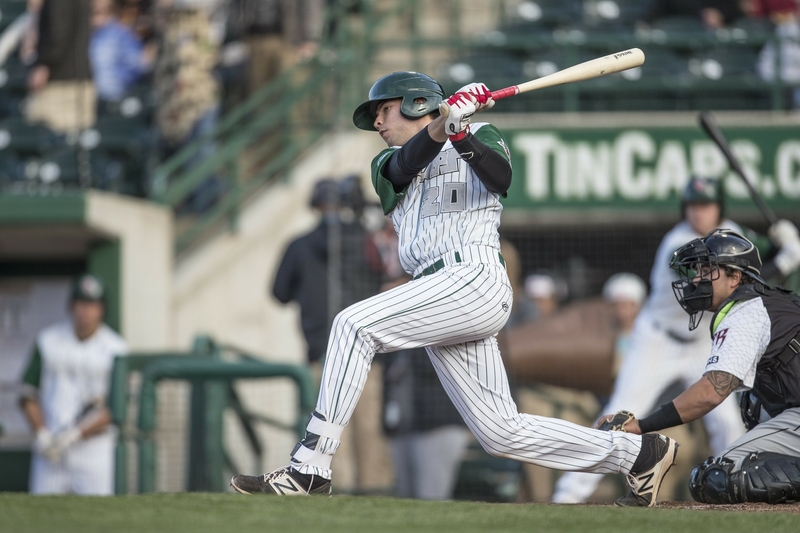 Fort Wayne TinCaps third baseman Hudson Potts was named the Midwest League Player of the Month for August, Minor League Baseball announced Wednesday. Fort Wayne TinCaps (Padres) third baseman Hudson Potts batted .346 in August and led the Midwest League in total bases (71), extra-base hits (18) and home runs (eight), while finishing second in slugging (.664) and OPS (1.060). He was third in doubles (10), hits (37) and RBI (23), and posted 12 multi-hit games in August. Potts, 18, was selected by San Diego in the first round of the 2016 First-Year Player Draft out of Carroll High School in Southlake, Texas. Potts previously was named the Midwest League offensive player of the week for the period of Aug. 14-20, when he batted .500 (14-for-28) with two homers, one double, two walks, seven runs scored, and six runs batted in. Potts’ best game offensively this season was on Aug. 30, when he homered twice and drove in seven runs against the Great Lakes Loons at Fort Wayne’s Parkview Field. Overall this season, he batted .253 with 20 HR and 69 RBI in 125 games with the TinCaps. This entry was posted in Fort Wayne TinCaps, Great Lakes Loons, Midwest League. Bookmark the permalink.